KILLIGANS annual “Wreck the Halls” Christmas-time punk rawk jamboree sweater show canned food drive. 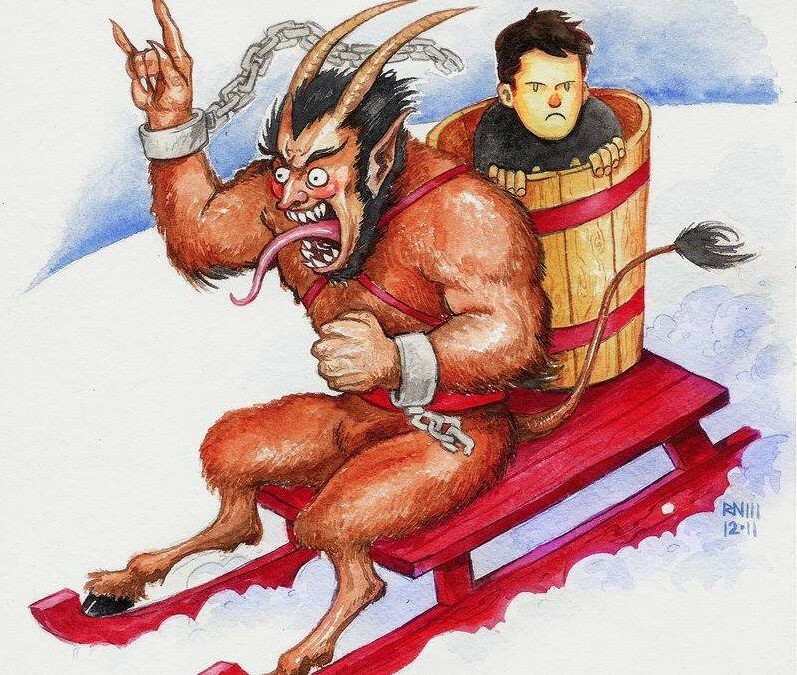 That’s right, its that time of year again where we pull out all the stops and get our snow cannon warmed up and ready to blast you in the face with tons of possibly toxic snow juice! Joining us this year are our extra special friends from Chicago’s south-side 6’10! This is their first trip to our lovely city, lets show them a good time! We are working with Pastor Tom at Peoples City Mission this year to provide new or gently used WINTER SOCKS to our city’s needy. As you know, our winters can be rough around here and strange as it may seem, socks are a huge need. 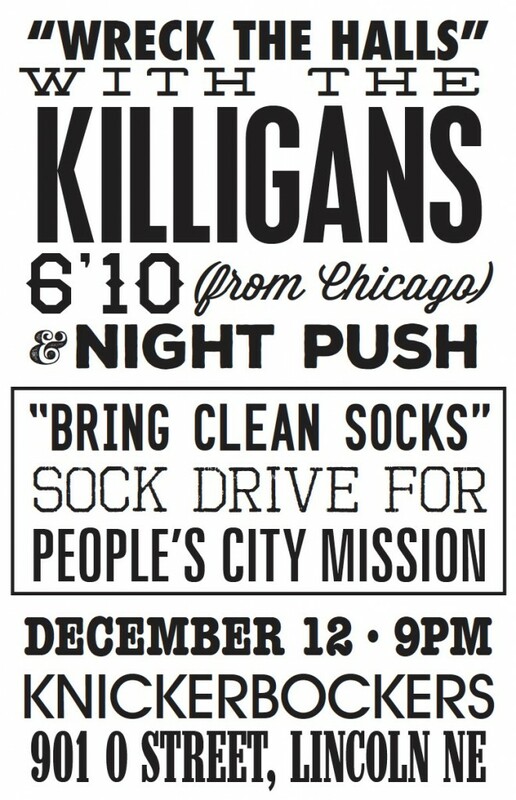 Bring a heavier pair of winter type socks to donate and we will deliver to the mission after the show. We are hoping to get a great response from our fans (as we always do) for this years cause! In the meantime, get your best holiday themed sweater dry-cleaned and pressed and get ready to slam dance the night away! RSVP on Facebook, won’t you?